Greg Burns of Lodi, California is a fifth generation descendent of Jessie’s Grove Vineyards & Winery. Greg is the director of, and Head Winemaker for Jessie’s Grove Winery. His family has been in Lodi since the 1850’s and has been growing grapes in the Lodi area since the 1880’s. He continues that legacy today having returned to manage his family vineyards in 1994. With 280 acres of grapes in full production his selections for Jessie’s Grove Winery have been carefully hand selected. Where he is fifth generation grape grower he is a first generation winemaker and has been actively making wine, commercially for the last 20 years. As Greg puts it, “ With Lodi’s heritage as an AVA and its rich history of producing high quality grapes, making wine from your own heritage is the perfect balance”. Professional wine judging has been a passion of his for the last 15 years. 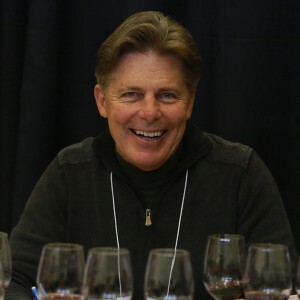 From judging Cal State Fair to LA International and many others, he thoroughly enjoys his time with his wine judging piers and truly feels the passion for being the eternal student of wine.